WORDS OF WISDOM WELCOME MAT by Summerfield Terrace home decor, jewelry, decor, decorations, electronics, fountains, floor mats, art glass, vases, garden essentials, fireplace screens. 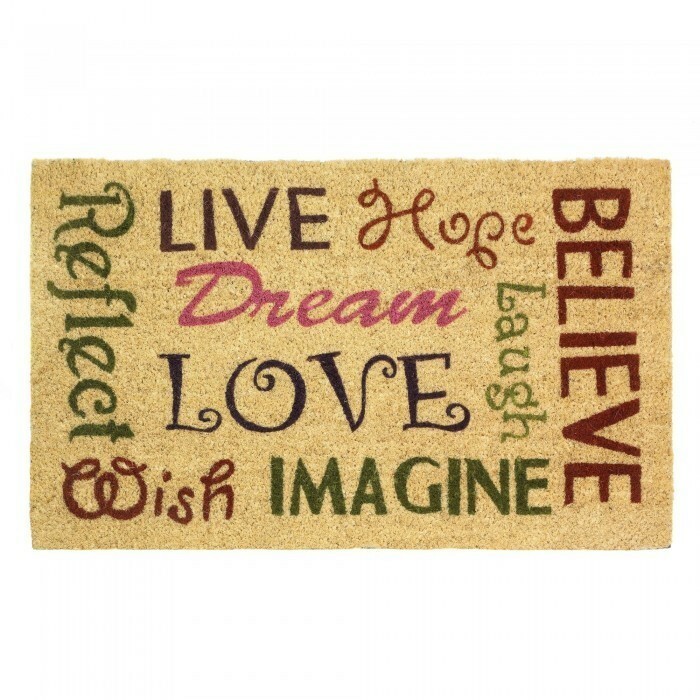 Inspire your guests as they arrive at your front door with this welcome mat covered in wise words. Different fonts and colors spell out inspirational words, including Imagine, Believe and Dream. Material(s): RUBBER COIR. Weight 4.6 pounds. Dimensions 30" x 18" x 0.875."